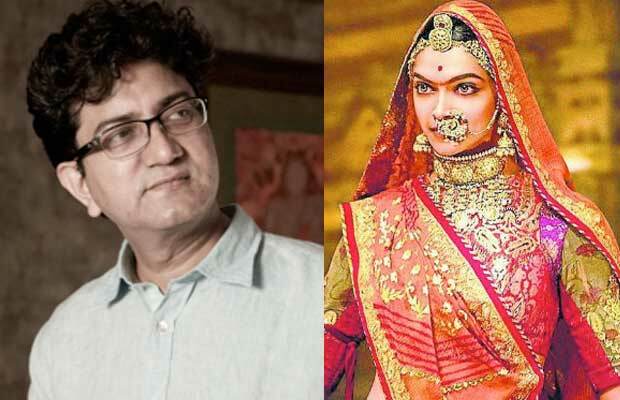 Padmavati: Prasoon Joshi Reacts On Holding A Special Screening Of The Film Before CBFC Has Certifies It! Padmavati was screened for a few media persons even before it got certified by CBFC, on which Prasoon Joshi has reacted. On this Friday, a special screening of the film Padmavati was held for a few known journalists like Arnab Goswami and Rajat Sharma. Surprisingly, the secret screening was held even before it has been certified by CBFC. Prasoon Joshi, the chief of the board has called it an irresponsible way of pressurising” the board. Padmavati, starring Deepika Padukone, Ranveer Singh and Shahid Kapoor is slated to release on December 1, this year. Previous articleShah Rukh Khan Shares A Selfie With Alia Bhatt, Kareena Kapoor And Madhuri Dixit, Gives Then An Advice! Next articleWatch: Priyanka Chopra Gets Thown Out Of A Van!